This month’s NIH Research & Consulting (NIHR) Staff Feature is on Susan Cohen, Executive Director, Finance and Administration. Susan has been with NIHR for over 12 years. Susan brings a wealth of knowledge and expertise to improving our processes. What do you enjoy most about working with NIH Research & Consulting team? Even though the team is in different locations, we have fantastic synergy. We’re all friends and work extremely well together. What do you like most about the NIHR culture? Robin and Cindy are more than bosses, they’re like good friends. They care about us. They listen to suggestions. Everyone feels very comfortable working for them because of the warm culture they have created. What do you think is your biggest business strength? I will do whatever it takes to get the job done. I keep track of everything for every client, including all reports. I always look at what’s in the best interest of NIHR before making any new suggestions. 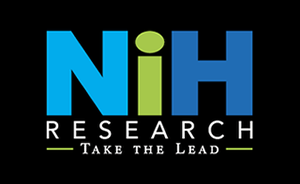 What are some successes or milestones you’ve achieved at NIH Research & Consulting? I’ve integrated automation in internal tasks and payroll processes, saving a lot of time for everyone. I am dedicated to finding the best solutions for internal operations, such as our CRM database, server needs, file sharing systems, etc. I also created a paperless office when I came on board 12 years ago. Everything is online for the team. We love being green whenever possible! Share with us a fun fact about you! I enjoy going to the gym, doing Pilates and I’m fascinated by holistic health. Congratulations to Susan Cohen from all of her colleagues at NIH Research & Consulting on Staff Feature of the Month! Connect with NIHR at HIMSS!